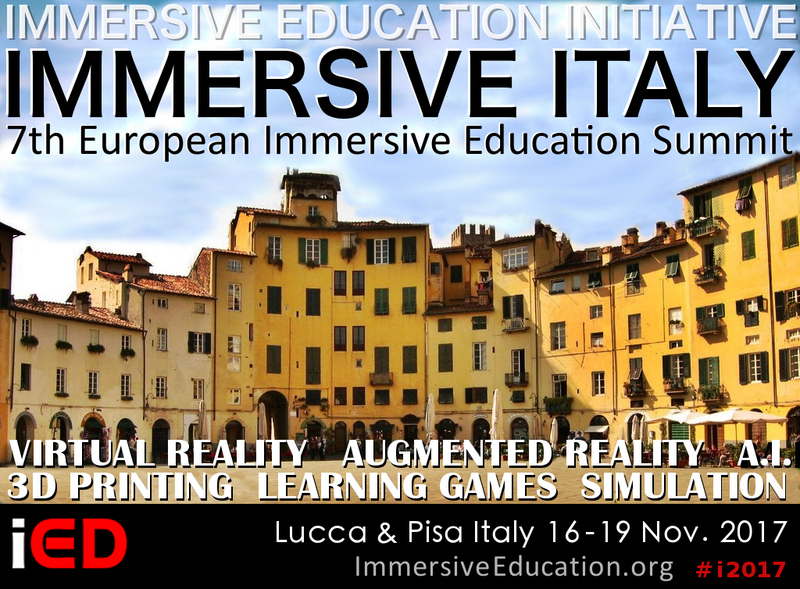 Immersive Education (iED) Clubs and Camps engage learners of all ages and levels (K-12, college, university and corporate professionals) using a range of immersive learning technologies. iED Clubs and Camps may focus exclusively on the use of one specific form of immersive learning technology (such a Virtual Reality, Minecraft, or Scratch, for example) or any combination of technologies. Immersive Education technologies "immerse" and engage learners in a way that is not possible with traditional teaching and training methods. Virtual reality (VR), virtual worlds, game-based learning systems, simulations, augmented reality (AR), fully immersive environments (such as caves and domes), creative computing systems, holograms, personal robotics and drones, and 3D printing are among the Immersive Education technologies that elementary schools, high schools, colleges, universities and companies around the world are using to fundamentally change the way students and employees learn. iED Clubs and Camps may be integrated directly into exisiting classes and curricula (offered as part of your normal school day) and professional work days, or they may offered at lunch-time, after-school, on weekends or over the summer. iED Clubs and Camps are run by certified Immersive Education instructors and guides. Certified iED instructors and guides from the Immersive Education Initaitive can run your iED Clubs and Camps on-site or remotely, and teachers and trainers may become certified themselves to run their own iED Clubs and Camps (for more details contact the Immersive Education Initiative). 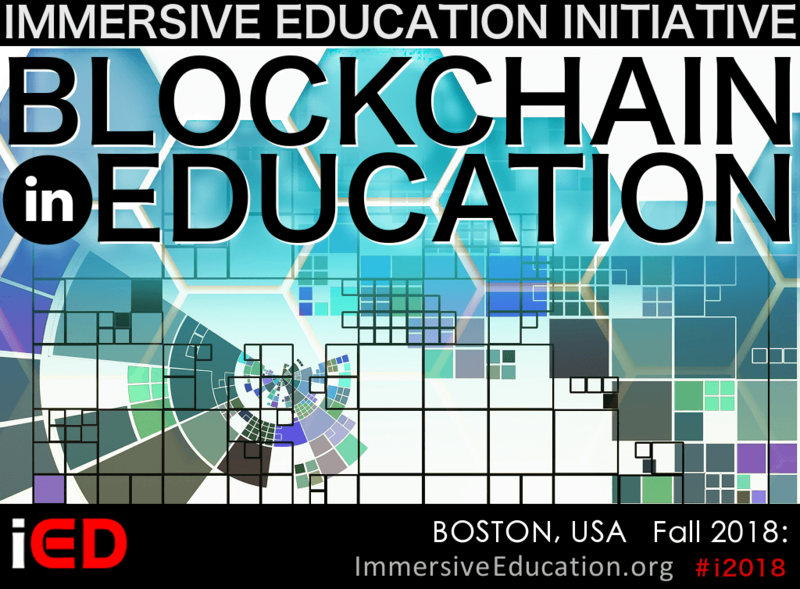 The Immersive Education Initiative offers remote and in-person mentoring and support for teachers and trainers who run iED Clubs and Camps, as well as guest lecturers, teachers and domain experts on a variety of subjects. Certified Immersive Education curricula and materials are also provided, enabling teachers and trainers to start and run iED Clubs and Camps with minimal effort while ensuring that they utilize the immersive learning technogies properly and to the fullest potential. Learners in iED Clubs and Camps may participate in collaborative projects with other clubs and camps, an option that helps to establish personal and professional relationships while fostering cultural exchange. 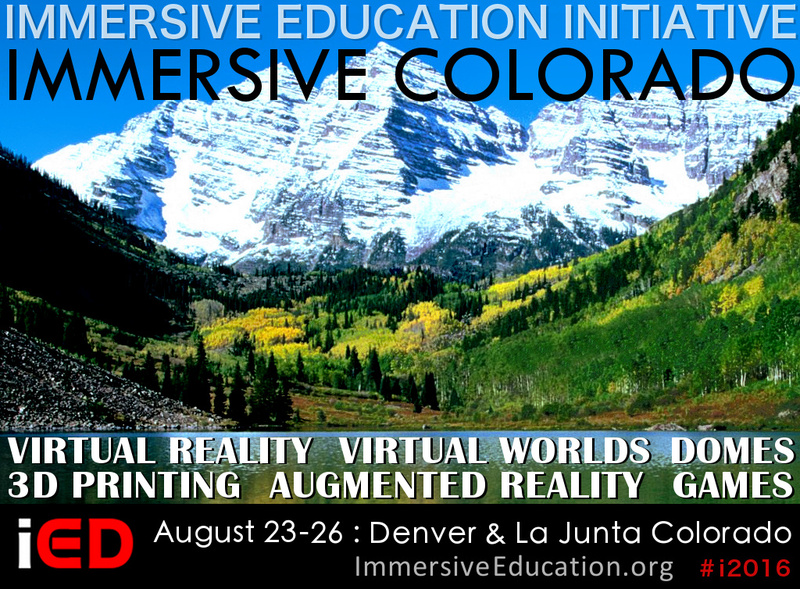 Learners in iED Clubs and Camps may also participate in official Immersive Education Initiative projects, such as the Immersive Freedom Trail, Immersive Santa Fe Trail, and Immersive Gold Rush. The Immersive Education Student Ambassadors program enables participants in iED Clubs and Camps to establish themselves as budding experts in the growing field of immersion, while the Young Entrepreneurs program encourages, supports and even funds new businesses started by iED Clubs and Camps participants. Historic Boston school expands Immersive Education program : Steeped in history and tradition, Boston's St. John School embraces revolutionary educational technologies. Since 1873 St. John School has resided in historic North Square adjacent to the Paul Revere House on Boston's Freedom Trail. For over 140 years the elementary school has touched the lives of generations of children in the heart of a proud and dynamic city. In 2013 St. John School began to offer students access to Immersive Education. One year later the school has expanded its Immersive Education after-school program to include Minecraft, Scratch Junior, virtual reality (VR) and 3D printing. This fall students from grades 1 through 6 will use Immersive Education technologies and techniques to create their own video games, interactive stories, living cartoons and animations to immerse themselves in history, science, technology, engineering, arts & architecture, and math (STEaM). For more details read the official announcement. Clubs open in collaboration with USA Department of the Interior : Two new Immersive Education (iED) student clubs have opened in Colorado to advance the newly established Immersive Bent’s Old Fort project. In December the Initiative revealed that Bent’s Old Fort, a unit of the United States National Park Service located on the Santa Fe Trail in Colorado’s Otero County, will be reconstructed virtually in the video game Minecraft and also as a fully immersive 3D virtual reality (VR) environment. 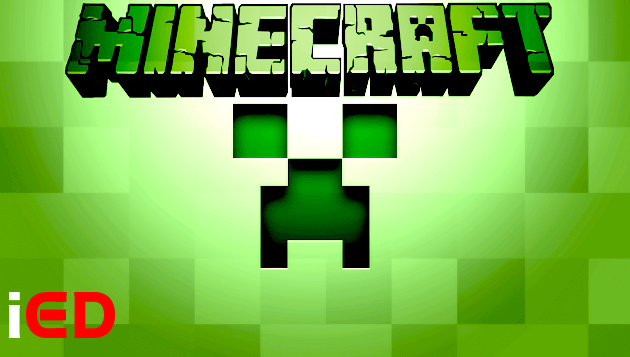 In addition to a Minecraft version of the fort, the students will also use professional 3D animation, modeling and simulation tools to develop a fully immersive VR rendition of the fort. Kansas iED club focused on "Creative Computing" : The Southeast Kansas iED "Creative Computing" Club teaches computer programming, game development, and design to area students between the 4th and 9th grades. Club projects and activities include game design and game development, robotics, Minecraft modding, and virtual reality (VR). Students in the iED Club will also participate in reconstructing the Old Fort Scott army base in the video game Minecraft and also as a fully immersive 3D virtual reality (VR) environment.